Recommendations & Testimomials from past clients. Bought a single family home in 2018 in Kissimmee Fl. Bernard found the perfect home for us. He was very professional and very helpful. He answered all our calls and answered all of our questions. I would not hesitat to use him again in the future. "Bernard was very impressive with great local knowledge, was always available for discussion and to offer advice. He worked with us every step of the way to final sale and closure. I would be very happy to recommend him to friends as a buying or selling agent. Greg Whelan"
It’s been quite a while since we last spoke after the successful sale by yourself of our property 106 Sunset View Drive. We have had numerous home & medical situations here in the UK ,that I won’t even begin to bore you with & I apologize for not getting back to you earlier to thank you for all your support & advice in helping us sell our property. As you know we are from the UK & the difference between selling a property in the UK & USA is as different as Chalk & Cheese, however you were able to answer my numerous questions & probably dreaded me either calling or e-mailing you so often with so many different ,rather than repeat questions that for you were everyday knowledge. It was an immense learning curve for us & the fact that we also managed to meet 1 to 1 at the property whilst we were in the USA last April/May was exceptionally useful as you were able to put in to layman’s terms how the whole property selling system worked in the USA , for my part I plied you with numerous questions in what must have been a grueling 3 hour meeting, it was exceptionally beneficial to us at the time & will also be in the future ,as we are already considering selling another one of our properties next year. Finally I think I would like to note even for myself that the telephone discussions & e-mail correspondences we had in terms of “changing tactics on a number of occasions” due to a wide range of frustrations, including what I think we would both agree a few were not serious potential buyers, however we had to treat them all as such as if they were, additionally it was pleasing to see so many potential buyers shown around the property by yourself & through other realtors you were able to liaise with including Nena. I would be grateful if you could pass on my thanks to her & once again my thanks to you for selling the property in a reasonably short time scale, even with our own complications thrown in. I would be happy to refer you to any other owner looking to sell their property by yourself. Take a pat on the back my friend on a job well done! Sorry it took so long to convey my thanks. "If you are looking to sell your vacation rental home in central Florida, Bernie Scarpa is your man! We interviewed several realtors and went with Bernie. He seemed very knowledgeable about the vacation home rental market. We were not disappointed. In addition to understanding the market, Bernie has a large number of contacts. Almost immediately we had interested buyers. What we thought might take a year to get the right buyers, took weeks. We closed on the sale about 12 weeks after meeting Bernie. If I were to list again, I would not consider anyone else." I want to thank you for the excellent job you did in short selling our home in Kissimmee. Fla. You were always available to answer our questions and concerns and happy to do so. You were a Godsend during a very stressful time, you encouraged and calmed our concerns. It certainly was a pleasure working with you and I would highly recommend you to anyone who needs the services of a realtor. Bernard has helped my wife and I buy two properties in Florida and as foreign buyers we couldn't have asked for a more helpful, knowledgeable and friendly agent. We have recommended him to other friends and will continue to use his services as needed. Bernie is highly recommended as experienced, knowledgeable and a great person to work with. We have used American Ideal Homes for several purchases. Excellent service. Thank you for your service. With your professional help and honest advice, I was able to sell my house quickly. I will definitely come back to you again when I ready to purchase a house in Florida. Thank you for the opportunity to provide a testimonial on the services and professionalism of Bernard Scarpa. Bernie as we call him, has been our realtor in Florida since 2011 where we purchased a vacation home in the Davenport community of Solana, we were very impressed with Bernie’s caring and honest demeanor and felt that our interest was being taken care. We own and operate a construction company in Canada and have many contacts with realtors in our country. In 2015 we sold our home in Solana, again Bernie was there for us with the best advice, although a difficult sale he was able to pull it through. In 2015 through 2018 we made many trips to Florida hunting for the right vacation house to buy, Bernie was there for us every time and never wavered on professionalism and never gave up on us. In early 2018 we purchased our dream home at 1544 Moon Valley Dr. in Champions Gate Florida. We are very happy with Bernie’s services and give him highest marks on all categories. We often wonder if this could have happened without Bernie and we very much appreciate the work he did for us. As business people we found Bernie’s greatest attribute was that he always took the high road. tells it to you straight, even when he has to give you the answer you don't want to hear. Most importantly, you can work with Bernie knowing that he always has your back. I would recommend Bernie's services over and over again. Extremely well done Job. Very knowledgeable. We worked with Bernie Scarpa to buy a home in Harmony, FL recently, and from beginning to end he was a pleasure. He was the Sellers Agent and showed us the home we purchased. We found Bernie to be very professional, knowledgeable, friendly and helpful. Bernie always answered our questions and responded to our emails in a timely manner, which we really appreciated. We would highly recommend Bernie to help you whether you are buying or selling a home. We actually met Bernie Scarpa with American Ideal Homes at Boy Scouts. He and his wife are very active in the Harmony Community in Central Florida. We were impressed with how well he gets along with people and what a likeable guy he is. When we wanted to purchase a house, Bernie was the best choice to be our realtor. He puts his client's needs first and is excellent at representing a buyer or a seller. Bernie is a very experienced realtor and knows all the background information that many realtors don't understand. We recommend Bernie to everyone and would definitely use him again. Purchased a income producing level 4 vacation property in the Disney area of Florida. We found Bernie on the web. He had posted some really helpful info about the kind of investment property we were interested in buying. He responded quickly and was extremely willing to help us find what we were interested in and what criteria we had in mind. We have dealt with many Realtors and we rarely found one who was competent and knowledgeable. But we hit the jackpot with Bernard Scarpa with American Ideal Homes LLC & Scarpa Realty PA because he is sincere and helpful and very diligent as well. Bernard epitomizes the qualities we thought we could only hope for in a Realtor. As he patiently drove us around looking at properties I quickly evolved from being cautious and on guard based on my past experiences with other Realtors, to being trusting and respecting his insight and advice. He has yet to give me reason to question his information or his character. He never seemed to be seeking his own personal interests. He was incredibly diligent in finding what we needed. His own experiences in short term rentals was extensive and he freely and patiently answered all our questions. He always responded promptly to our emails and phone calls even now, months after we have successfully closed on our new investment property! Bernard is stellar in is field. I am so grateful to have had him as our Realtor. I now count Bernie as a friend! Helped me buy a home in Florida. Thought the entire process, Bernard was very patient as we learned what we liked and didn't like in a house and the best area for us. This was a long process, approximately 2 years but, we finally moved to our house thanks to Bernard. If you are looking for a professional, knowledgeable and dedicated real estate agent, look no further. I highly recommend him. Helped me buy a home in Clermont Fl. My husband & I are relocating to FL and had been dealing with a few different realtors on the phone telling each exactly what type of home we wanted to find around Orlando. Most sent me listings not meeting our guidelines and they were all very slow to respond. Bernie responded to a request for more information for a home I found online within 15 minutes of my request and the listing agent took two days before responding to my request. Needless to say his quick response and then his professional manner and knowledge of the area made me realize I found the right person to work with us. We are both in business and greatly appreciated how he does business. Bernie is a full time Realtor unlike the majority of agents out there. This translated into us finding the perfect location to build our new home along with a reputable builder, perfect floor plan and in our budget guidelines. He spent a whole weekend and 2 other days driving us all around the Orlando area only showing us existing homes and new developments meeting our requirements. He had appointments scheduled to show us specific homes in areas all around the Orlando area. He wanted to make sure we had a chance to see all the different areas to help us make an informed decision. We flew in for one week to try and figure out what part of the Orlando area we wanted to relocate to and then find a home in that area. He is so knowledgeable about the whole Orlando area and pretty much all of Central FL. This translated into us figuring out what area by the end of the second day and then he focused all his energy on finding us the best options in this area. We signed a contract with a builder within one week of landing in Orlando. This only happened because Bernie is an excellent hard working real estate agent! We also witnessed him handling his vacation rental business and I would not hesitate to recommend him in this area either. Do not even waste your time working with another agent in the Orlando area as he is the BEST! We are so thankful to have had him working with us on our relocation to FL. We highly recommend Bernie if you are looking of a vacation home in the Kissimmee area. We are from Canada who bought a vacation home in December 2014. Bernie was extremely attentive to our requests, needs and budget. He found the property that was perfect for us in a safe and tranquil neighborhood. Bernie was ready for us when we first visited in October, he made himself available to visit the property himself when we made the offer and he came over for a visit when we were there in February! He is an excellent real estate agent who truly knows his market and his clients. The very best!! Trustable, efficient and 5 star professional. Bernard was highly recommended to us by a friend and we were not disappointed. Looking to purchase a home in another country was very daunting for us and having someone we could trust and knowledgeable was extremely important. We found him to be very professional, hardworking and genuine. He always responded immediately to our requests and went above and beyond to help us achieve our goal of purchasing a vacation home. We met Bernie over three years ago at an open house and at that time we knew he was a realtor that had the customer's best interest in mind. Not long after that we bought our first house from him; he helped us through the process, making it a fairly easy transaction. Since then, we have purchased two more rental homes with Bernie's help, in the Kissimmee area. I not only say he is a good realtor and works for the buyer, he has also become good friend and I would highly recommend him to anyone looking to purchase a home! Thanks.........Bernie! Bernard helped me purchase my new home, we spent many days looking for the right home and he never made me feel like I was wasting his time, nothing was too much bother and made the experience of buying anew home more enjoyable, he also negotiated on my behalf and got me the best price for my new home, I would 100% recommend him for either buying a new home and also selling your home, he offers a 100% great service..
Bernard has sold two properties for us and also helped us purchase two homes, he made us feel at ease when buying and felt no pressure and really felt he worked hard for us to get the best deal, he has also sold two of our properties and totally took over for us so was a breeze to sell, he has never let us down and would only use him in the future for any other purchases 10/10 service.. When my wife and I were relocating from Washington DC down to the Orlando area we were under the gun and only had a few days. Out of everyone we worked with - Bernard was the best and found us a perfect place in Harmony FL. since then, he has been very attentive and very generous with his time in helping our family get settled into our new home and get acclimated to our new area. I would recommend Bernard to anyone in the area looking for a new home or rental. We really appreciated how Bernard went out of his way to show us houses until we were able to find the perfect one that suited us most. He was there all the way and showed us areas of Florida that we had no knowledge of since we came from out of state. This was a great help for us. We feel he is a great real estate agent and highly recommend him. Bernard did an excellent job helping us to find the right vacation home for us. As we are first time (overseas) buyers and not familiar with the buying process in the US, he explained us everything and was always there to help us out. Thanks Bernard! Bernard helped me sell my home in Saint Cloud Florida. His expertise and professionalism are unparalleled. I highly recommend Bernard Scarpa whether you are selling or planning to buy a home. Bernard is a true gentleman who will always keep your best interest in the forefront of negotiation. Sold a Single Family home in 2013 for approximately $225K in Harmony, FL. My husband and I had the pleasure of working with Bernard for the recent sale of our home. He was extremely honest, reliable and helpful. He was very prompt with replying to our many questions, and offered expert advice on how to get our home sold quickly. We were thoroughly impressed with his work ethic and commitment to his clients. Thanks to Bernard, our home had a full price contract within a mere 4 days of being on the market!!!! We can't thank him enough for all of his hard work and dedication to getting our home sold! If you are looking for a real estate expert who will get the job done, then look no further as Bernard comes highly recommended! Working with Bernie was a pleasure, and a true joy. Thank you for doing such a good job for us through out this whole entire house process! We truly appreciate your open and honest style as well as your attention to detail an dedication. Thank for everything!! Sold a Single Family home in 2013 for approximately $125K in Kissimmee, FL. Bernard was a great help selling my home in Kissimmee. I found him to be very personable, honest, and helpful. He gave me ideas to sell the house and we were in touch all the time. Bernard was very helpful explaining the paperwork to me for a couple of other contracts prior to the one at the end and also the paperwork for the final closing. I would recommend him to anyone. Bought a Single Family home in for approximately $350K in Kissimmee, FL. Bernie was a great help to us in finding a home in the Kissimmee area. He spent a full day showing us nine homes that we had reviewed on line. He helped us out in many ways beyond the scope of real estate. He has been a professional and become a trusted friend. Bought a Condo home in in Harmony, FL. Bernard was incredibly helpful, responsive, and committed to helping me find the right property to fit my needs. He was an integral part in the purchase of my first home, and I would recommend him to anyone looking for a top quality real estate professional. I look forward to purchasing my next property or home with Bernard. I have purchased and sold a few homes. So far Bernie was the best Real Estate Agent that I dealt with. Bernie will always look after your best interest. The difference between Bernie and some other agents is that he pays attention to what you are looking for in order not to waste your time. I have recommended Bernie to a lot of my relatives and friends. Go with Bernie and you will not be disappointed. I used Bernie to both buy my property and sell my property. I've always found Bernie to be honest and trustworthy. I've always enjoyed working with him and always found him to be very professional. He is the perfect Real Estate Pro and I'm happy to call him my friend. I found Bernie to be knowledgeable, capable, and trustworthy. Also, I found him to be a good human being! I have no hesitation in recommending him to anyone. Bernard is extremely helpful in helping us purchasing vacation homes in Orlando. He is very knowledgeable, experience and professional. We enjoy working with him and will continually work with him in getting our next vacation home. He was very helpful in my sale of my FL home. A pleasure to work with. We were looking for a realtor that we could relate with, and one that not just talked the talk, but walked the walk - meaning not only did he have knowledge of vacation homes, but he himself was a vacation home owner. He offered great advice while still letting us make the final decision. He made the purchase process smooth, so much so that we did it again! We would recommend his service to anyone. 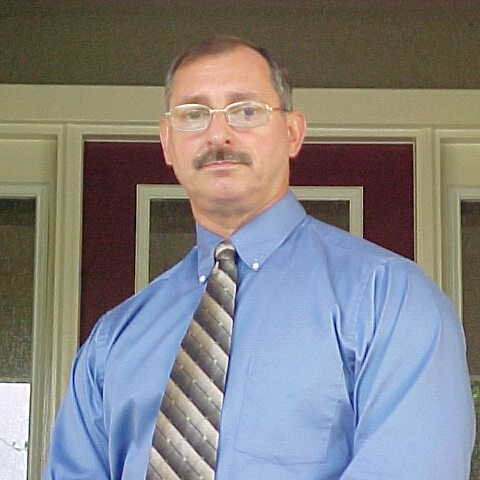 I used Bernard's service for selling my property at Kissimmee Florida. Selling during the most difficult times for a Real Estate seller was handled very professionally and in a highly skilled manner by Bernard. Provided great advice based on realistic analysis, not the wishful thinking. Thorough understanding of local markets and trends. Bernard had a ready list of contractors / handyman that allowed me to beautify the home before listing it out for sale. I would highly recommend working with him to sell/buy property. I met Bernie Scarpa three years ago when we bought our new town home in Harmony, he helped us negotiate a great price and helped us with all of the buying process, since we were living overseas at the time. My son recently bought his first town home just a block away from ours, Bernie was again instrumental during the entire process. He follows up 100% of the time on every detail. I would highly recommend Bernie to anyone who is interested in having a Realtor that knows the area very well and who will work on their behalf and in their best interest!! Bernard helped me for my last purchase of a vacation home about 2 months ago. He is a very honest and trustful real estate agent and very helpful for my last transition. I would highly recommend him if you are looking for help in the area. This is the first time I dealt with Bernard for the purchase. Looking back the whole process, I do feel he always gave me the answers to my questions in a very honest way. He is very knowledgeable for the local real estate market as well as the rental related issues, and very good in processing required paper works. The most important think I like is his quick responses to my various kinds of questions, most of them are within the same day. With his knowledge he can always provide me suggestions and recommendations, which are very helpful for the people like me who do not have too much knowledge in the real estate business. Overall I had a very pleasant experience with him. We were very pleased with the knowledge and energy he put into selling our property. I called him and that day he responded and looked at property. He was very polite and knowledgeable of the current market and areas with 5 acres or more for sale. Upon signing the contract that day he placed signs and photos on the web. He made flyers and placed them in the signs that day. Upon getting info on showings he always kept us up when and scheduled the showings. The other Realtors were respectful and knew of him and spoke well about his person. Overall the task of selling a 5 acres property and house in the worse financial time was easy with Bernard Scarpa at the helm. He went out of his way even to set up a back up contract once we had a buyer. He is highly recommended. Bought a Single Family home for approximately $375K in Kissimmee, FL. I will be working with him in the future! This July 31st, 2012 we closed on our vacation home. Being that this is a vacation property I was out of state and Bernard helped with all issues that I could not easily tend to. Bernard was highly responsive and truly a professional. He is extremely knowledgeable in the Florida market and can give good honest mentoring in the decisions a buyer (I'm sure for a seller as well) needs to make. Bought a Single Family home in 2012 for approximately $425K in Kissimmee, FL. Bernard is the consummate professional. His years of experience and his extensive knowledge of the short term letting business allowed him to guide us smoothly through the purchase of our first vacation homes, despite our ineptitude as UK buyers in an alien environment. Bernard gave us the benefit of his knowledge without being patronizing or pushy, rather he was our guide and mentor, allowing us to come to our own decisions whilst ensuring that no inadvisable decisions were made. I would recommend Bernard wholeheartedly to anyone needing the services of a Realtor, but particularly if, as we were, you are in the market for short term letting property. Dr Christopher Hall M.B. Ch.B. We didn't have much time to look at properties, but Bernard was able to accommodate us. He was responsive, available, patient, and a persuasive salesman. Bought a Single Family home for approximately $325K in Kissimmee, FL.